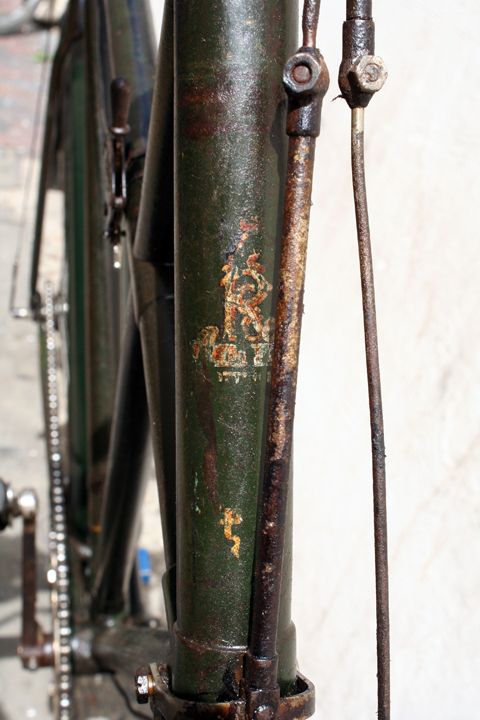 This 102-year-old Cross Frame Raleigh is a survivor. 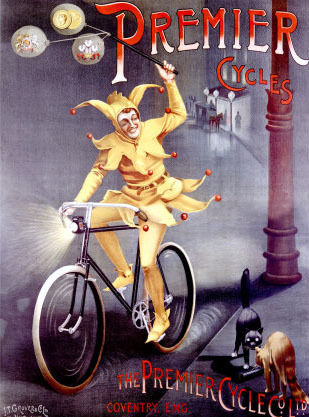 It was looking quite sorry for itself when I found it, but it was nevertheless well-preserved, in original paint and with its head transfer intact. 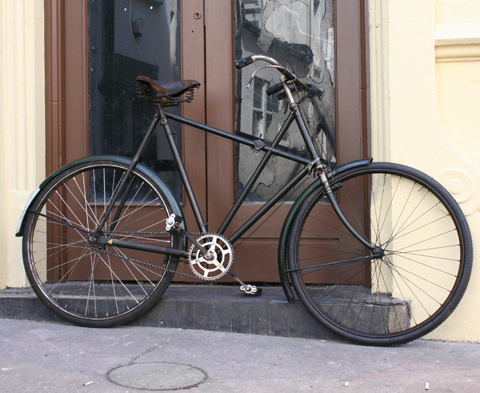 It deserves to survive – after all, it was Raleigh’s top-of-the-range model in 1908.